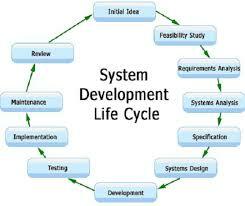 This lecture focus to present Information System Development. Information System Development is usually a term used with systems engineering, information systems and software engineering to describe a process intended for planning, creating, tests, and deploying a good information system. The Information Systems Development Methodology (ISDM) was created to provide a reliable, repeatable process intended for developing systems. This lecture focus to describe the motivation for a system development process in terms of the Capability Maturity Model (CMM) for quality management and describe eight basic principles of system development.